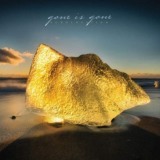 A supergroup consisting of Mastodon’s Troy Sanders, Queens of the Stone Age’s Troy Van Leeuwen, At The Drive In’s Tony Hajjar, and multi-instrumentalist/composer/mate of the others Mike Zarin, Gone is Gone feels relaxed and unfocused, something for the members to do for fun outside their day jobs. An alt-metal Traveling Wilburys, you could say, and you’d be right, although the sound of talented musicians relaxing and having fun doesn’t always translate to good music across the board. It’s easy to look at that line-up, for one, and think that this will lean towards the softer side of rock, and this is only partially untrue thanks to how varied and disparate Echolocation is. Opener Sentient, for example, is an ambient-infused atmospheric piece with groovy riffs partway through, sounding like a very miserable Deftones. It’s not bad thanks to some compelling guitarwork, but goes on a little too long; Chino Moreno and crew are so good because they know restraint. The following Gift, meanwhile, is a groovy rocker the likes of which Queens of the Stone Age were pumping out years ago, very different in style and tone. Getting a handle on precisely what Gone is Gone are about beyond whatever they’re feeling like at that precise moment is tough. Still, for what Echolocation is, it’s not bad. Each member can play their instrument, and although I prefer Van Leeuwen’s melodic backing singing to Sanders’ acquired taste singing (he was far better as part of Mastodon’s revolving vocal squad) he’s perfectly decent here, lending a peculiarly languid catchiness to the likes of Resurge and contrasting well with Van Leeuwen. The band slips too easily into Queens of the Stone Age territory a lot of the time, and indeed that’s probably the closest band to what we have here; a little more At The Drive In and a lot more Mastodon would have made for a more energetic, infectious album. Instead, there are plenty of outright dull tracks like Dublin and Colourfade, slow and soft, dragging themselves on and on, built around ambient soundscape and backing percussion that can’t help but feel listless compared to more upbeat fare like Ornament, practically anthemic in comparison. It all seems pretty post-millennial, from the music to the colourful but meaningless artwork, and makes me feel oddly nostalgic, although it’s hard to recommend unless you really want to hear this particular group of musicians. Pawns, for instance, outside of a fun rhythm section interplay in the intro, sounds like modern Mastodon covering early Muse, something I’d definitely roll my eyes at if it popped up on the next album from the band that brought us Remission and Leviathan! Roads is largely electronic and Nine Inch Nailsy, while the quirky rock of Slow Awakening and its heavier following cousin piece Fast Awakening are forgettable. The closing title track is one of the better atmospheric pieces, although by then you’ve sat through most of a 55-minute album and it’s hard to care too much. Gone Is Gone need to make their music far less casual and more serious if they want it to be taken the same.